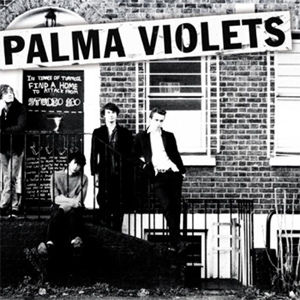 Palma Violets – 180 | NoCoda. What It Sounds Like: Indie garage rock from this newly formed, up and coming foursome out of London. The first track and first single off of 180 is titled Best Of Friends, which was also choosen as NME’s song of the year when it was released in late 2012. Talk about setting the bar high! Let’s address it right off the bat. Song of the year? Certainly not. But a great song that fits right in blasting out of a late night English pub? You better believe it. Samuel Thomas Fryer delivers the vocals on this energetic, mid-tempo anthem about, well, he certainly tells us enough.. It goes down smooth, like a nice pint of Guinness. So, what about the rest of the record? Not as mind blowing as I would have hoped as the lead single would suggest, but it’s not terrible; repeated listens certainly start to show off its qualities that fit in nicely with the whole Libertines/Babyshambles vibe of the garage rock revival era – only a little more chilled out. Rattlesnake Highway churns along and showcases a B3 in the background, while Chicken Dippers takes a sharp left turn into a great bass heavy, almost dark new-wave number that would make Interpol proud. The band; not the police organization (obviously). Overall though, Palma Violets simply don’t have enough tricks up their sleeve to keep one’s attention throughout the entire record. The closer we get to the end (such as so many records do), we start to find tracks that simply could have been left off. Tom The Drum? The ending rocks out pretty good and sounds fun, but is it memorable? Eh. Johnny Bag Of Donuts? I’ve heard it before. What makes it sound different than any other type of band doing this style? Even track number three, All The Garden Birds, in a prime slot for a killer single, is just kind of bland. It’s tough for me to be harsh here, because I like this type of musical style, but I have to admit – its certainly done better elsewhere. Not a bad record to own, but Palma Violets are still a far cry from being at the top of their game. Here’s to hoping they stick it out and make a better record with their follow up in a year or two. I think they have it in ’em. They deserve at least half a point for song titles. Johnny Bag of Donuts? It’s a creative title, at least.